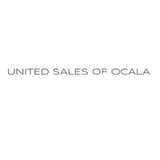 Since 1987, United Sales of Ocala has been serving the 5 counties surrounding Ocala, FL. You can count on the quality service you'll receive from this family owned and operated business. When you need custom glass services, come to United Sales of Ocala! From glass tabletops to architectural glass, you are sure to find what you need here. United Sales of Ocala is a proud distributor of Coral Industries glass. View their extensive selection and then give us a call! When it comes to quality products at affordable prices, Ocala Glass and Mirrors shatters the competition. Call us today for all of your window glass repair needs! What can a local Citrus Hills glass company help me with? If it’s a major home glass repair or replacement, the Citrus Hills glass company should work directly with your insurance company to help bring down costs for you, if applicable. 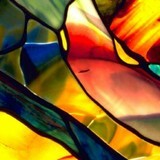 Find Citrus Hills glass companies on Houzz. Narrow your search in the Professionals section of the website to local glass, mirror and shower door services in Citrus Hills, FL and read reviews and ratings to find one that fits your needs.